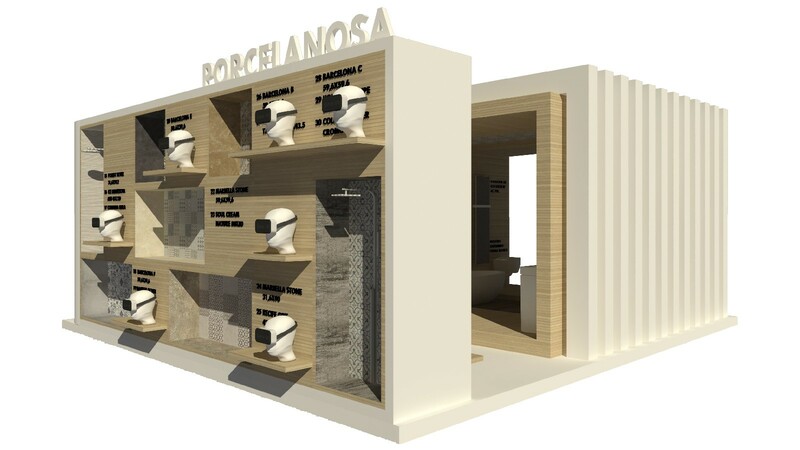 With enhancing the view and the touch as the main aims, the interactive space designed by Leticia Merino for the PORCELANOSA Grupo showroom makes it possible for the visitor to see and check out the products showcased in each of the spaces. 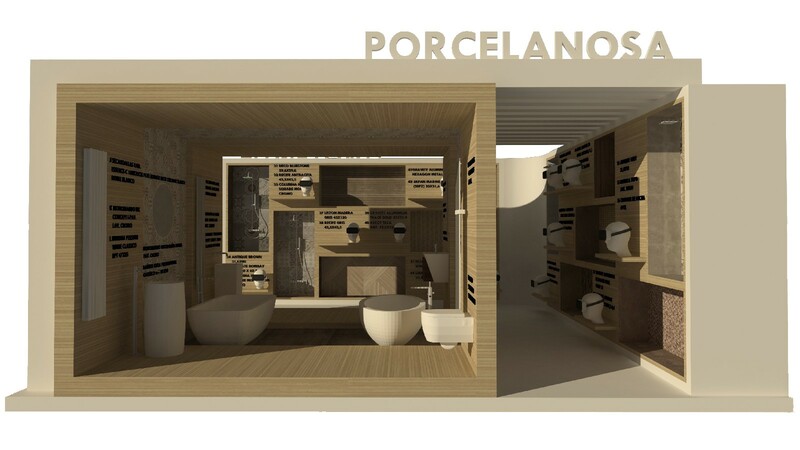 The project, being a finalist in the category of ‘Professional Forward-Looking Projects’ at the 11th Porcelanosa Architecture and Interior Design Awards, consists of several box-shaped spaces. It is in the first of them where one can find a pair of 3D glasses. 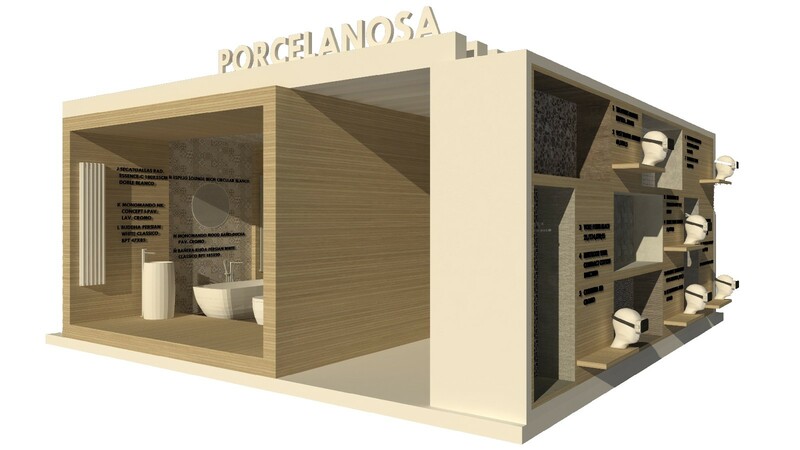 Thanks to them, visitors will be able to view the different atmospheres which have been created with products from the PORCELANOSA Grupo. 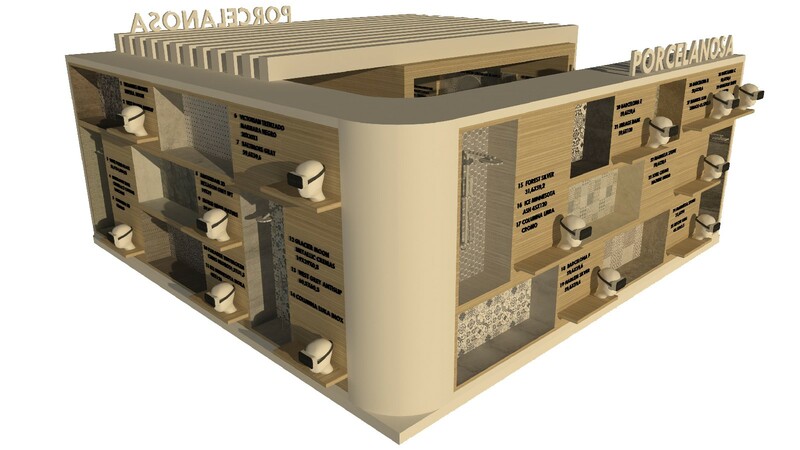 The second stop is a space where one can find a collection of samples annexed to each cube. 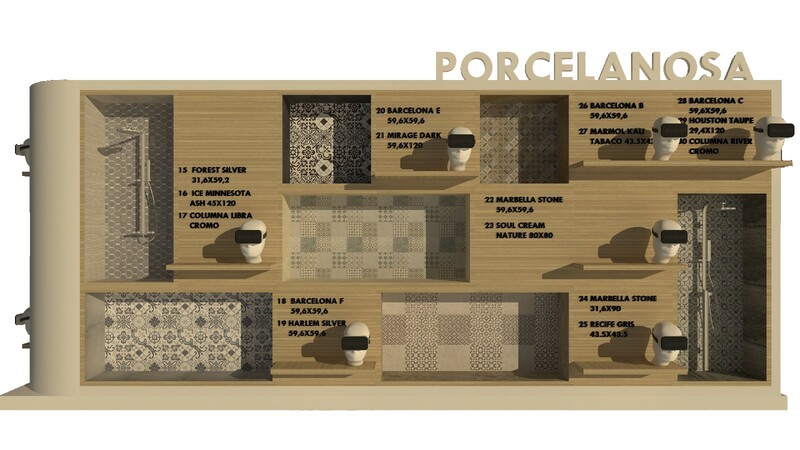 The pieces which have been used are shown, for instance: the Barcelona E ceramic wall tile, Japan Marine or the Marmol Kali, all of them by Porcelanosa. 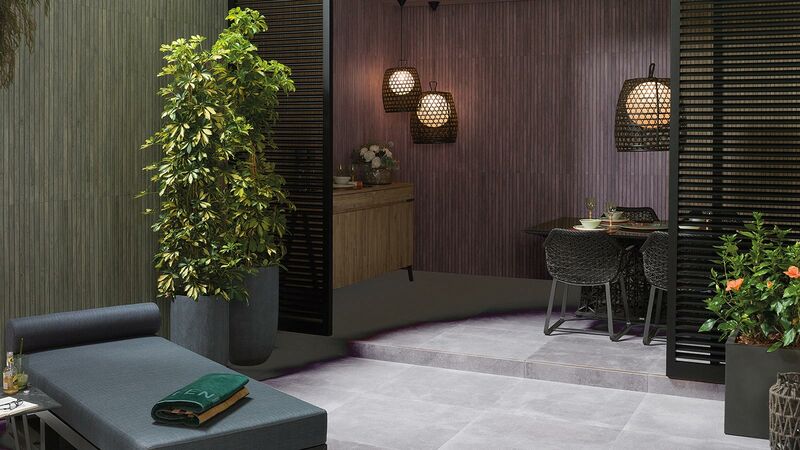 In this 360º area, the user will also be able to look at the aesthetic innovations by Urbatek with the Soul Cream Nature through-body porcelain, the anti-slip Deep Brown Nature or the West Brown porcelain. 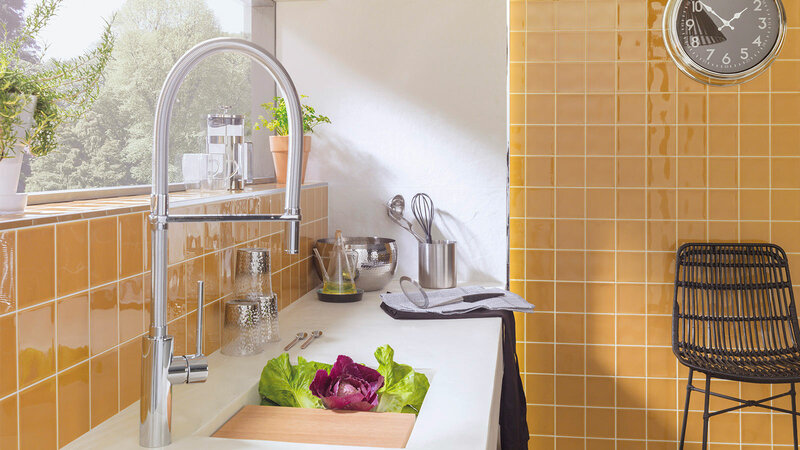 Water is worshipped in the bathrooms through the Lid Cromo, Luka inox and Libra Cromo shower columns by Systempool. 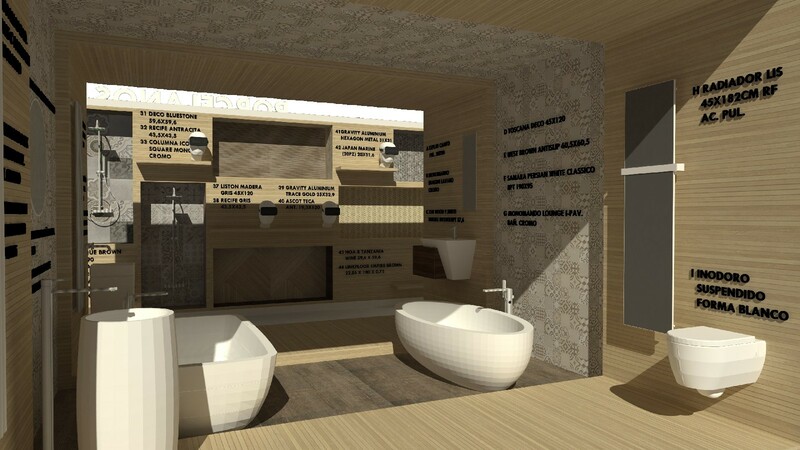 The exhibition area is completed with floor tiles and wall tiles. Among them we highlight: Houston, Mirage and Ice Minesota. All of them being collections by Venis. 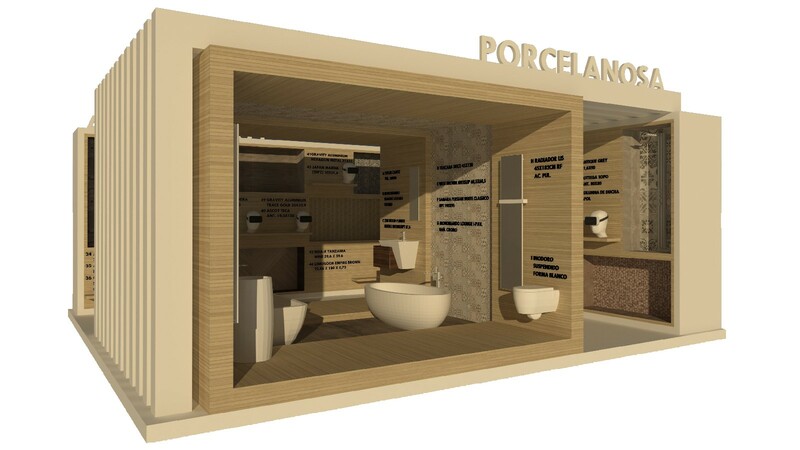 The second part of the showroom showcases the latest designs from the different firms from the Group. 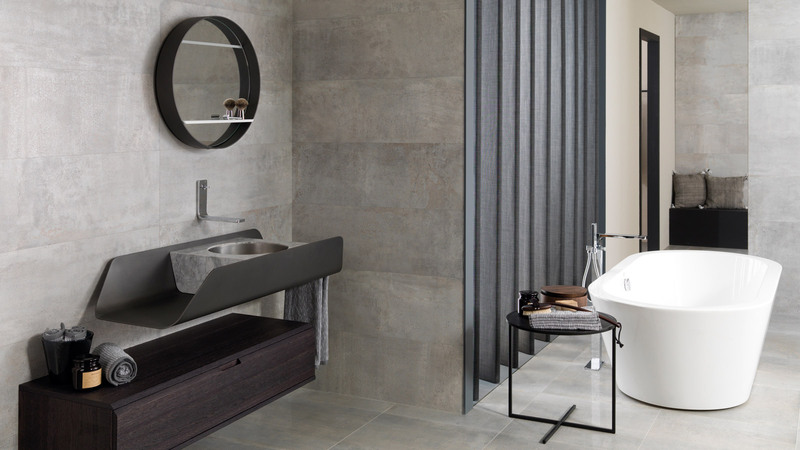 Noken plays a leading role with the Arquitect wall-hung sanitaryware, the Lis radiator or the Future bathroom taps. 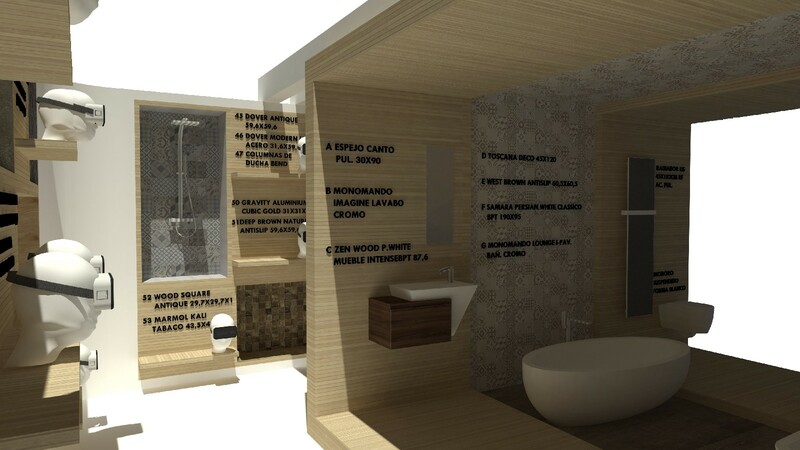 This visual space will include pieces by L´Antic Colonial, such as: the Khoa Persian bathtub and the basins or the bathroom furniture, Basic Stand. The tour, set in a pergola which works as a transition between the two spaces, projects a realistic image of the functionalities and innovations that the products have from the eight firms. Sensory immersion towards the new design.